It was a mid-July day in Bratislava when Slovakian Prime Minister Robert Fico gave vent to his fury, pulling off his jacket and threatening to hand down sanctions. But his anger wasn’t directed at some tin-pot dictator. Rather, his tirade was focused on fish sticks from Iglo and fabric softener from Lenor. Those companies, Fico threatened, could find themselves boycotted if they continued to sell inferior products to the consumers of Eastern Europe. Fico, though, wasn’t speaking just for people in his own country. Rather, he was giving voice to those across Central and Eastern Europe who have long wondered why Nutella doesn’t taste as chocolatey at home as it does in Germany, for example, or why the cola isn’t as full-bodied and the washing powder doesn’t work as well. Fico’s mid-summer jeremiad was just the latest climax in an ongoing, potentially explosive conflict involving first- and second-class consumers. At issue is not just the question as to why large companies dump apparently inferior products onto the Eastern European market, thus “defrauding” millions of consumers, as Slovakian Agricultural Minister Gabriela Matecná puts it. It is also about the European Union’s commitment to unity and whether that commitment should extend to the recipes used by Nutella. In the first years following the collapse of communism, the use of cheaper ingredients could perhaps have been justifiable: Consumers had little purchasing power and delivery routes tended to be long, with most of the products being manufactured in Western Europe. Companies, though, have long since adjusted prices in Eastern Europe to match those elsewhere – but they have continued to use the inferior recipes. Armin Valet, an expert on grocery products for the consumer protection agency in Hamburg, estimates that selling inferior products saves companies millions. Commissioner Jourová has now assembled an investigative committee which is to develop guidelines together with consumer protection groups and food manufacturers to address the issue. It’s not a particularly powerful lever, but the companies do seem concerned about more radical steps. A steady stream of companies and lobbying groups have been approaching Jourová and her team. Whether their solicitation efforts are successful will be seen in how willing the Commission ultimately proves to be in granting concessions. One specific area to watch is the EU’s evaluation of industry studies pertaining to alleged regional preferences. In the future, companies that are unable to adequately explain why they use differing recipes could face proceedings for unfair commercial practices. But Bahlsen, the manufacturer of the popular sweet biscuits under the Leibniz brand, has taken a different tack. 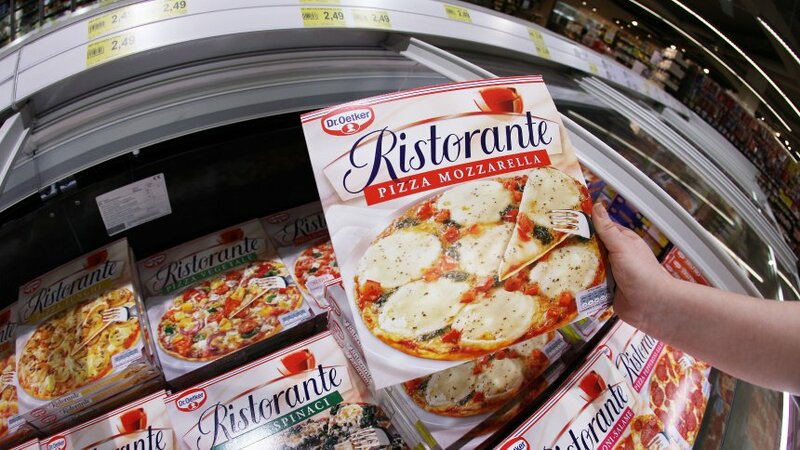 Recently, the company fixed a discrepancy between the recipe it was using in Germany and the recipe it was using in Poland. Company spokesman Christian Bahlmann says that he began suspecting an approaching PR disaster for the company in summer 2016. “It began relatively quietly on social media channels,” he says. Customers were asking why Leibniz biscuits baked in the company’s Polish factory contained less butter and more palm oil than those produced in Germany. And the company did not have a satisfactory answer. Bahlmann realized that it could become a problem for the brand. After all, the recipe for the sweet biscuits had been around since 1891. Suddenly diluting it with palm oil looked extremely suspicious. But in July, Bahlsen reversed course and has been using exclusively butter since then — in its Polish factory as well. For years, Frosta fish sticks produced in Poland were wrapped in a much thicker layer of breading. But the company fixed the inconsistency a year and a half ago. In contrast to Germany and Austria, there are no laws in Poland that required Frosta to make the change, but Ahlers says it was an issue of credibility. “The argument about regional tastes is nonsense,” he says. It isn’t difficult, he says, to condition children to prefer more breading. “But really, everybody wants more fish in their product,” he says. And tests undertaken by Frosta, he says, have shown that Polish consumers prefer the new recipe. Still, many companies continue to insist that it makes sense to have different recipes for different countries. A spokeswoman for the SPAR supermarket chain in Austria made clear that the company doesn’t believe products should contain exactly the same ingredients across Europe. The yoghurt sold by SPAR in Eastern Europe, for example, has less fruit in it than the same yoghurt — packaged under a virtually identical label – sold in Austria, according to a test performed by the Slovenian consumer protection organization ZPS. Furthermore, the fish sticks sold under SPAR’s own brand name are fattier and more expensive in Eastern Europe. The company also seems rather flexible on other issues as well. In 2011, the company set a goal for itself of only using fish from sustainable sources and catch methods starting in 2013. But that doesn’t seem to apply to Eastern Europe. Indeed, the Marine Stewardship Council certification seal is missing from many of the company’s fish products in the region. In Slovenia, the spokeswoman said, most consumers aren’t particularly concerned about sustainability. The American consumer goods corporation Procter & Gamble — which owns the brands Gillette, Lenor and Pampers, among many others — is much more rigorous when it comes to determining the predilections of its customers, with a company spokeswoman claiming that it performs 20,000 studies each year. One finding she mentioned as an example is that Poles prefer squirting dishwashing liquid directly onto the sponge rather than using a sink filled with soapy water, as the Germans prefer. Tests that are pointed to as proof of alleged national differences are often commissioned from the Appliance Technology department at the University of Bonn. One of the studies undertaken by the department is called “Washing-up Behaviour and Techniques in Europe,” and as part of the study, 11 test subjects from Poland and the Czech Republic were questioned, apparently by telephone. Hardly a representative study. Chocolate multinational Ferrero likewise serves up some rather strange answers when questioned about the different recipes for its famous hazelnut-chocolate spread Nutella. Tests have determined that Ferrero uses less cocoa powder in Hungary than it does in Germany and the company has sought to justify the discrepancy with “the availability of resources.” The explanation makes it sound like cocoa is first delivered to Germany and then Hungary has to make due with whatever is left over. But Ferrero also points to “national regulations,” even though there is no regulation anywhere in Eastern Europe that requires the company to use less cocoa in Nutella sold there. Nowhere is the problem more visible than at Danone, the Paris-based food-products corporation (sold as Dannon in the United States). For years, the company has been severely criticized for high sugar content in its products, among other shortcomings. Recently though, the company has sought to demonstrate responsiveness to such concerns and in June, CEO Emmanuel Faber called for a “food revolution” at an industry conference. But his company’s commitment to social responsibility doesn’t seem to extend into Eastern Europe. Danone’s bestselling Activia brand, sold in the same packaging worldwide since 2016, tastes quite a bit different in the region when compared to the same product sold further to the west. And a test conducted in Lithuania shows why that is: The amount of fruit used in the product was quite a bit lower than in Western Europe. And the strawberry yogurt also contained a thickener.